Welcome to the 2019 school year. It was fabulous to welcome our new Matua School families and staff over the past week. We hope you enjoy your new community. A warm welcome to our new teachers this year Miss Sara Lambert, and Miss Ellie Sardelich. It is great to have you all onboard as part of the Matua School team. The school-wide focus for Term 1 is Agency. I have the power to make choices that make a positive difference. We will all initially begin the year establishing our classroom relationships, structures and routines. Then we will move onto exploring the concept of agency and making wise choices. This also ties in well with related concepts such as self-management, positive mindsets and being a team player. Our professional learning for staff this year is centred around Structure Literacy. With advancements in our knowledge of how the brain learns to read and write, we have new understandings about the importance of phonological (sound) awareness and how this relates to learning to read. Alongside our Otumoetai Community of Learning, this year we will continue to embed our practices around Mindfulness. There is a range of great apps that can support this at home too, including Go Noodle and Smiling Mind. If you have any queries regarding this, please see your classroom teacher. 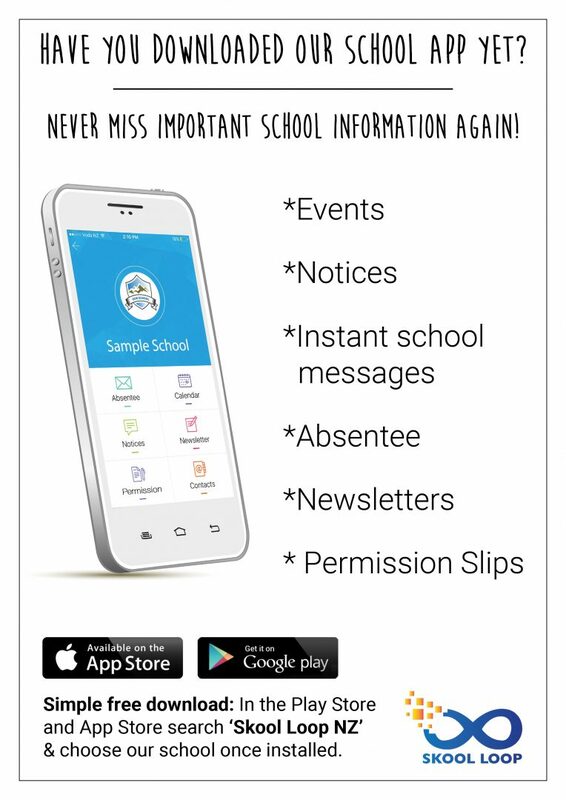 This online platform for sharing student learning and communicating with parents proved to be very popular in past years. Our classes all have Seesaw accounts for 2019. Please subscribe to updates from your child’s class on this site. There is a handy App available for smartphones. 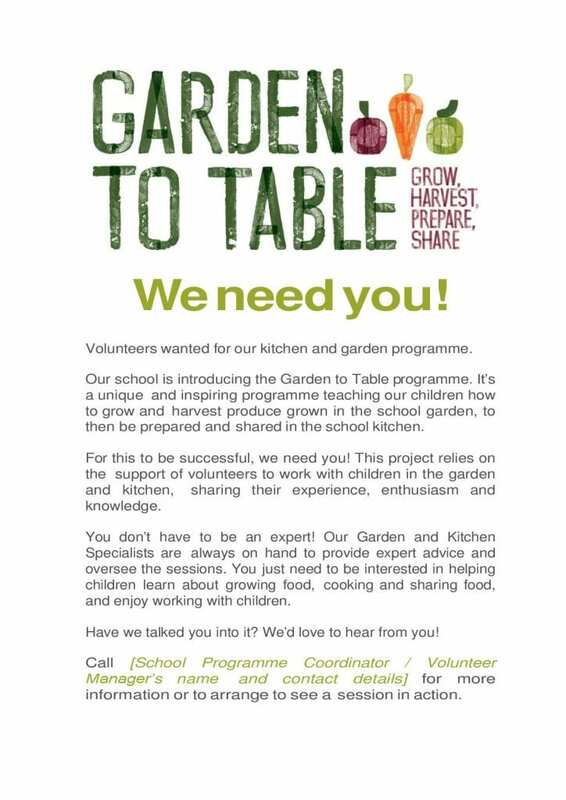 Please see your classroom teacher if you would like more information about this. Email is a great way to get in contact with your child’s teacher. 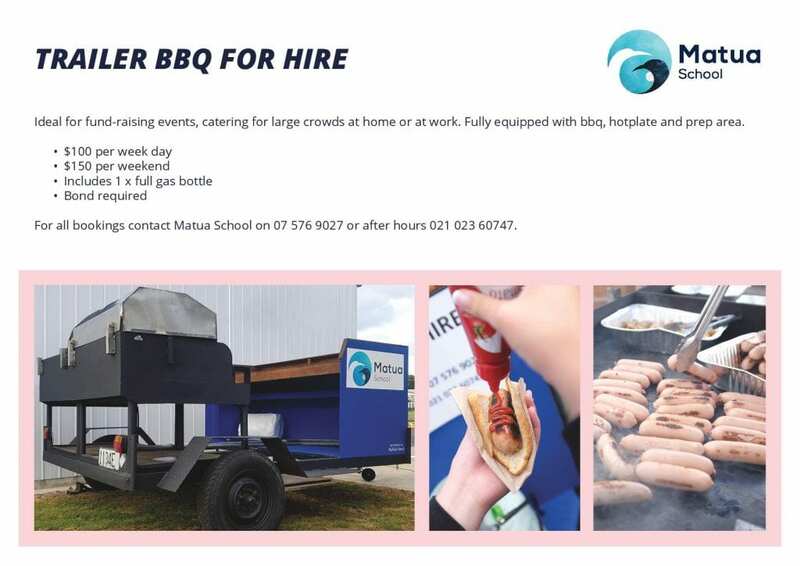 Our email addresses can be found on the website https://www.matua.school.nz/our-people/. Alternatively, staff are available from 8:30-9am each day or at 3pm for face to face discussions. If discussions are of a sensitive nature, we ask that appointments are made beforehand to ensure time can be given. From time to time there may be an issue or concern that arises. We ask in the first instance that you address the issue with the classroom teacher. If you are not satisfied or would like additional support, the Team Leader will be the next step. If you are not satisfied with the outcome, you are welcome to make an appointment to see either Angela Barlow (our Deputy Principal) or myself. For those new to our school, our prefered payment method is through Kindo. You can pay for all school activities through this online platform. To sign up, please see the video and instructions below. All the best for a great start to 2019. The weather in February has traditionally been very hot. As a SunSmart school, it is very important to us to encourage safe practices in the sun. Hats are a compulsory uniform item for Term 1, any child who forgets their hat must play in the shade in break times. We also encourage families to send rash shirts when there is a significant swimming activity. This year, our Learner conferences will be held on Tuesday 19 February. Conferences are deliberately earlier this year as they will allow family and school to discuss how students are settling into school and to share aspirations, observations and concerns early in the term to set the year up for success. School will be closed for this day and we ask that you make alternative care arrangements for this day. 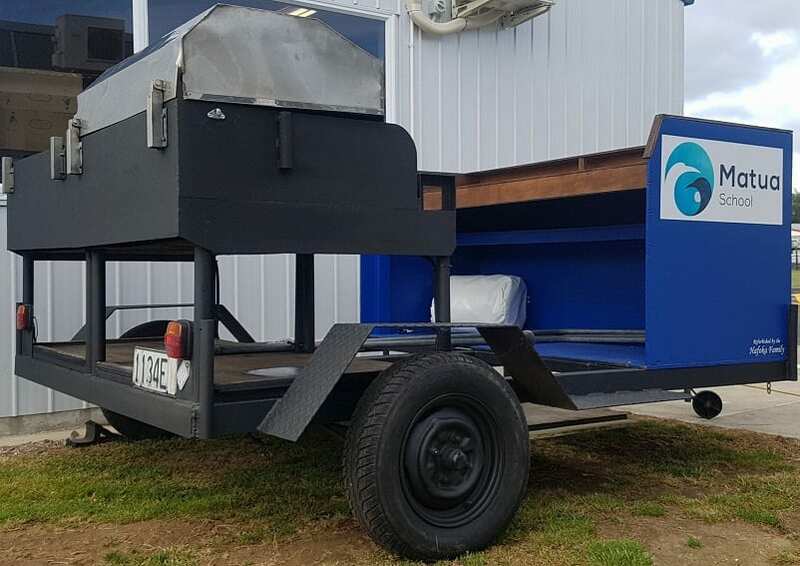 Skids will be open and available for contact at http://www.skids.co.nz/locations/matua/. Please keep reading to see how to book a conference time. We look forward to seeing you all there. I would encourage all parents to name their children’s clothing as this makes it far easier to identify if it may become lost. When children take off their sweatshirt or shoes and socks etc. they need to immediately place them in the cloak bay rather than leaving them on the ground outside. This a great message to reinforce with your children and will minimise any loss. This year, our six contributing schools and the Intermediate will be holding a simultaneous Teacher Only Day for the first time. This is an Otumoetai Community of Learning/Kāhui Ako initiative to enable us to bring together all the teachers in our schools for professional development. 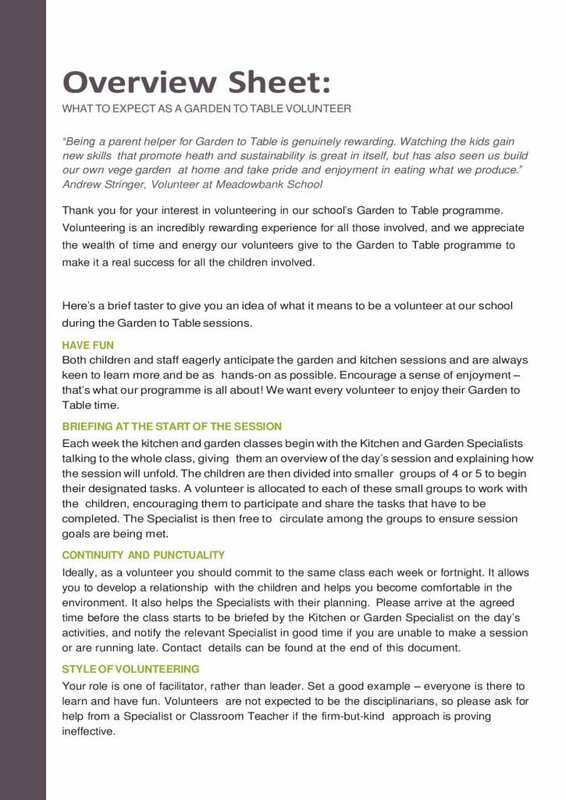 We are using a number of experts to deliver this who were not available during the Christmas and other school holidays. We understand that holding a Teacher Only Day so soon after the Christmas break may seem unusual, however, it will ensure all our teachers across the seven schools are delivering quality writing and oral language programmes in addition to addressing student wellbeing. Teachers from Otumoetai College, Te Wharekura o Mauao and the wider Tauranga Moana will also take part in English Medium and Maori Medium professional learning. Otumoetai Intermediate is the host school and we will have over 250 teachers and support staff involved in workshops across the school throughout the day. Classes all have a 45 minute library session during the week with their teachers. Junior classes are aloud to issue one book at a time, while middles and seniors can have two books. Books are issued for a two week period, but may be returned before then. There is a returns box located near the front door. Middle and senior children may also return and issue books at lunch time. If a book is more than a week overdue, a notice will be sent home. Please try to find the book, or contact me if the book remains elusive. We will ask for a $10 donation towards the cost of replacing the book. If the book is returned later, this money will be refunded. We have over 7000 books to look after so if you discover any book with the Matua stamp, please help it make it’s way back to the library (no questions asked!!!). Senior children have the opportunity to become a librarian. They assist in the running on the library and also set up at lunchtime activities such as coloring, puzzles and tumble time (online stories from the Tauranga library). Currently, I have a hardworking group of year 6 librarians who are using their lunchtimes to ensure the library is running smoothly, until our 2019 librarians are selected and trained. Week 2 children will be asked to apply for librarian positions. Parent Help – are there any parents who have 15 minutes after the 9am bell or 15 minutes before school finishes to assist our librarians in the upkeep of the library? I am also after parent helpers who are able to assist with the stamping, taping and covering of new books. These need to be done to a high standard and can be done at times that suit you. What a great start to the sporting year for Matua for 2019 with the Weet-Bix Kiwi Kids TRYathlon on Sunday 3rd February. Congratulations to everyone who participated either as an individual or part of a team. What a fantastic effort, you should all be very proud of yourselves. Once again we won the largest school group with 89 participants. We have another 15 free entries to give away for this years event. If your child is interested in this event and would like the chance to win a free entry there is a sign up sheet outside the hall (or just inside the hall foyer on a Friday) attached to a desk. Put all your details down and we will do the draw at a Friday assembly in a few weeks time. You have to be in it to win it! Once again term 1 has started with a bang with sports registrations already closed and teams being sorted and registered with the sporting organisations. Once teams have been finalised I will open the sports payments on Kindo. If your child loved participating in the Weet-Bix Kids TRYathlon there is another great triathlon happening on Sunday 24th February. 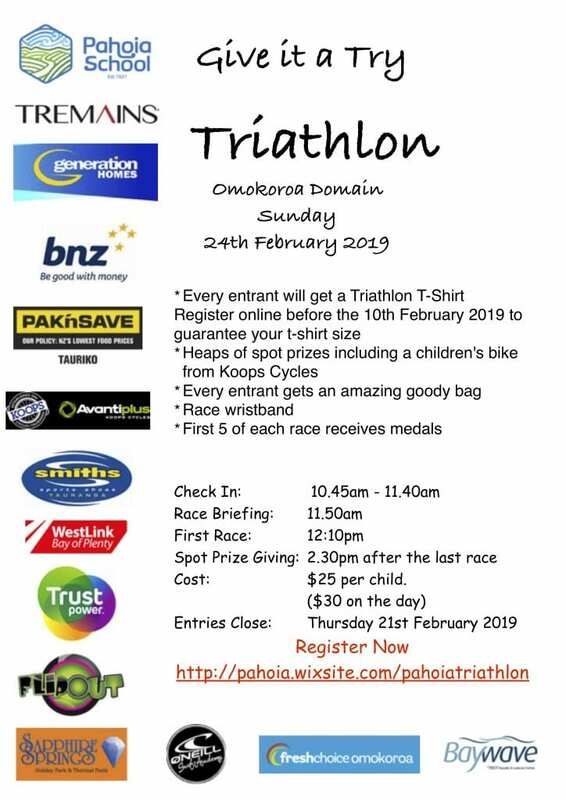 It’s the Pahoia School Triathlon which has been advertised on our school Facebook page. See the flyer below for more details. The Gymnastics Academy will be starting up its Thursday morning classes next Thursday 14th February for the term. 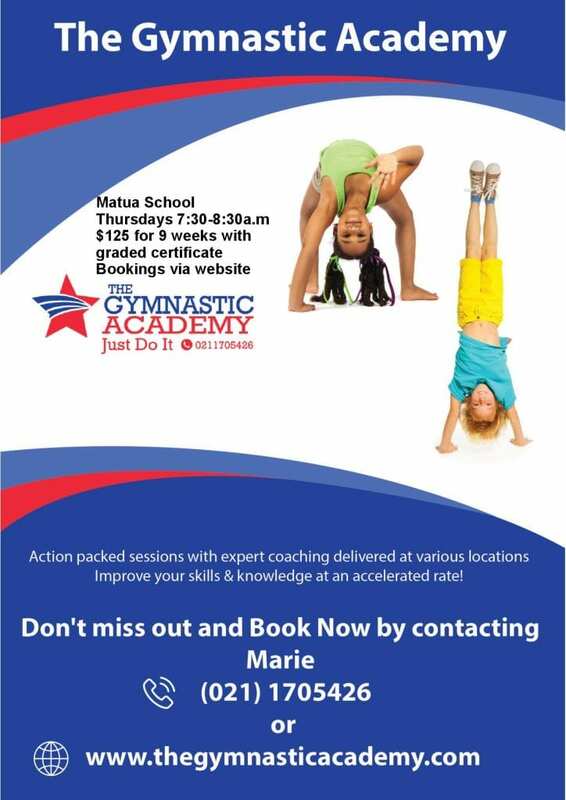 Accelerate your Child’s learning with expert coaching for beginner and advanced students, Gymnastic Academy Programmes every Thursday morning 7:30-8:30a.m in School Hall, Book via our website www.thegymnasticacademy.com See the flyer below for more details. Junior Tough Guy/Gal Competition – this looks like a super fun event to be involved in. 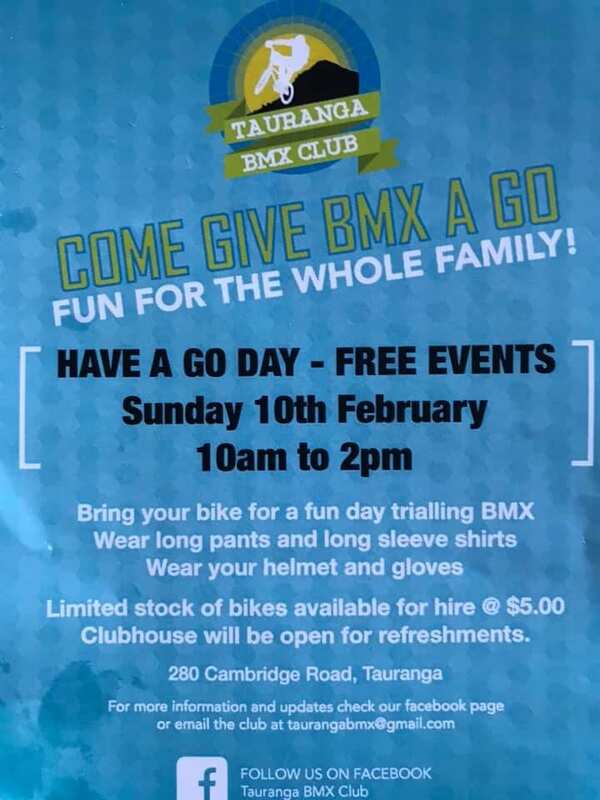 Head to their website https://eventpromotions.co.nz/junior-tough-guy-and-gal-tauranga/ for more information. 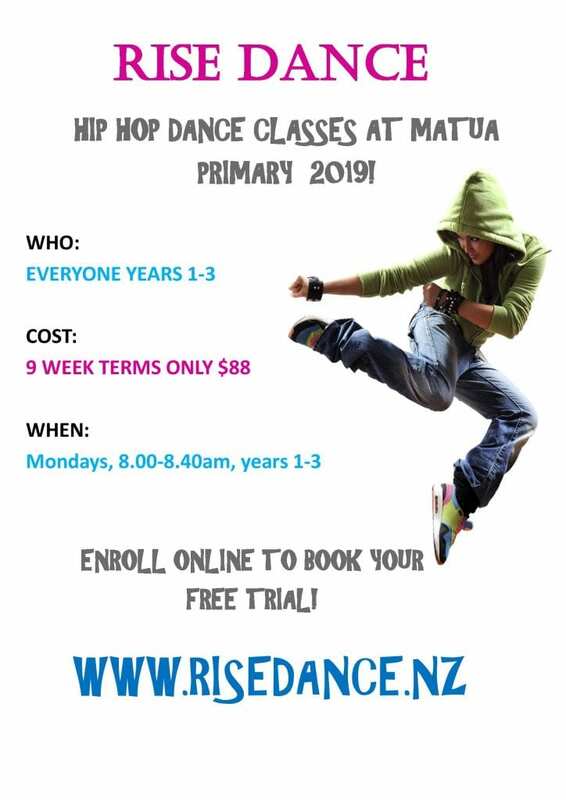 If you are interested in registering your child please email me at sport@matua.school.nz and we can start a school group. This event is held on a school day. NPL Go – is a 6 week after school coaching and games session for girls interested in cricket. It takes place at Bay Oval every Friday evening from 4-6pm from 22nd Feb – 29th March. $25 per player and you can enter as a team or an individual and they will put you in a team. For queries and registration email rebecca@bopcricket.co.nz or 021 312 784. Term 1 is our swimming term with the senior school swimming sports on Friday 22nd March followed closely by East Cluster Swim Champs on Tuesday 26th March which then leads on to WBOP Swim Champs on Wednesday 10th April. I look forward to seeing who our next budding swimmers will be. Our lovely art teacher, Mrs Jenni Scott would love some more donations so she can create her wonderful art pieces and works of art. Please could you save any small cardboard boxes and also 1 liter milk bottles. Please could you make sure these are clean before you drop them off at the school office. Our school pool is now open and in use. If you would like to apply for a key to use the pool outside school hours, you can do so via our website. Go to the bottom of the page and click on ‘School Pool’, following the prompts. Keys cost $75 plus a $25 bond which is refunded when you return your key. Payment is made via Kindo. 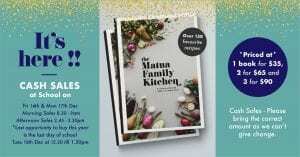 The Matua Family Kitchen Recipe Book has arrived! We are all excited to have it in our hands and see our beautiful Matua kids, our school and supportive sponsors all together. Remember to pick your KINDO order up from the School office. If your child has outgrown or moving school and you no longer need the school uniform, we would really appreciate your support by donating it to school. You could drop it off at reception. 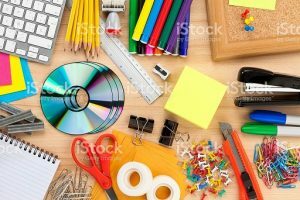 The PTA can then help families get ready for the year. The 2nd hand uniform sale is run every Wednesday afternoon from 2.30pm until 3pm. This is in the school hall. Matua School Gala – The school gala will be held this year on Saturday the 30th of March from 10am – 1pm. Any donations for the ‘White Elephant” or ‘Book Stalls’ can be dropped into room 17. Many Thanks and best wishes from the PTA. 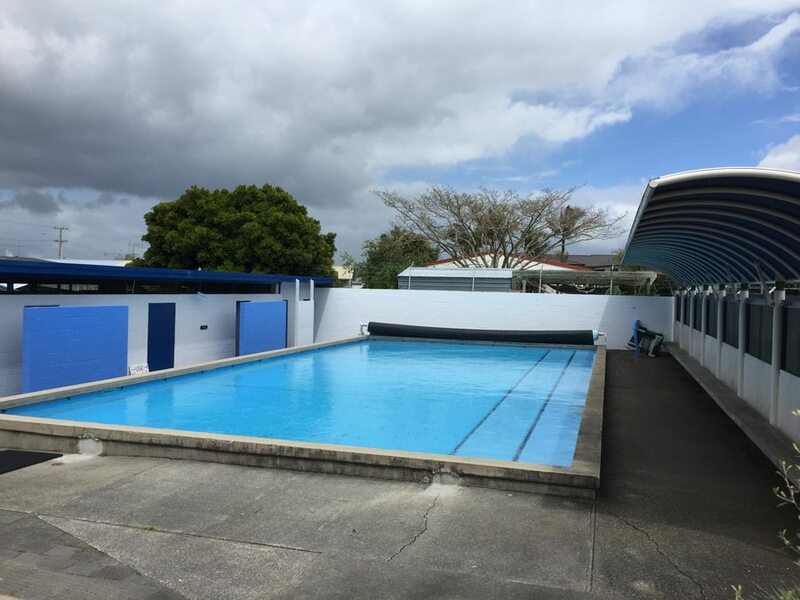 Tauranga Swim School offers quality lessons for all ages and abilities in a fun learning environment. Check us out on facebook, see some pics and read the reviews! Spaces are filling quickly so make sure you book your space now! Just a reminder that Futsal registrations close on the 10th of February. If you or your child is intending to play Futsal this term, please register ASAP.